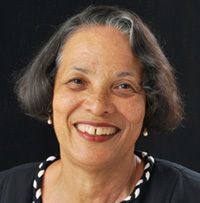 thebahamasweekly.com - Pam Burnside: What's in a name? Pam Burnside: What's in a name? A name is a very serious thing! I would like to say a sincere ‘thank you’ to whomsoever made the decision to remove the revered name of “Junkanoo” from the middle of “Bahamas Carnival”. Now our proud centuries-old tradition is back in its rightful place! Secondly, and in the same vein, I would like to strongly entreat the Bahamian public (particularly politicians and the media) to treat our proud nomenclature of “Over-the-Hill” with the deep respect it deserves and not besmirch this rich heritage by referring to it as the ‘inner city” – another foreign abomination which has no place within our proud history. Unfortunately, persons use these names without thinking of the serious damage they can do, and before you know it, they become that self fulfilling prophecy we do NOT want! I commend and support the Prime Minister for making bold steps to lead us back once again towards that other extremely important name of “Community” by inculcating those values which defined us as a people. Let’s “be who we is, and not who we ain’t” by using those names we can lay claim to as our own – names that were a positive reflection of who we were, who we wanted to be, and the roads we were prepared to take to get us there!